A story of friendship, loyalty and dispossession In February 2000, Richard Zimler went to Australia for the Perth Writers' Festival. While he was there, he met a talented dancer from a Brazilian mime and dance troupe. The tragic step she would take the next day would change his life forever, and... read more launch him into an obsessive, three-year investigation of her past. He discovers a childhood lived at a time of peaceful tolerance between neighbouring Arabs and Jews in the old districts of Haifa. As this tranquillity becomes fragile, and despite their ethnic and religious differences, two particular girls - one Palestinian one Israeli - forge a bond of sisterhood strong enough to last a lifetime. Zimler's investigations lead him deeper and deeper into a web of illusions, cruelty and deceit - and finally to September 11, 2001, when the tragedy he witnessed in Perth is set in the starkest of political contexts. 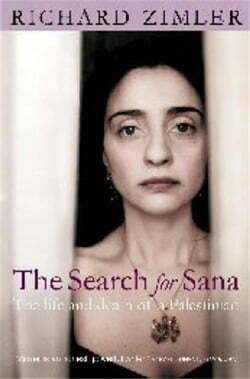 Part memoir and part thriller, The Search for Sana blurs the conventional boundaries between fact and fiction as it takes an intimate look at a lifelong friendship, and the inception of an unthinkable crime.